Spacious boat storage building with 3 large roll up doors - 14,000 sq. ft. Two story garage/office building - 1,600 sq. ft. main floor and 1,600 sq. ft. on second floor. Covered cement slab - 4,700 sq. ft. for additional storage or workshop. Direct Highway 89 frontage, easily accessible from frontage road. Large freestanding, double sided sign with highway frontage coverage. 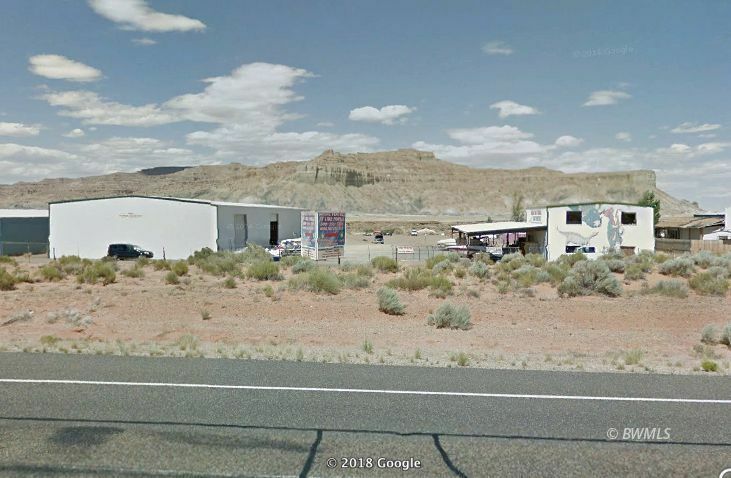 Come and start your own business in Big Water, Utah, where Lake Powell is only minutes away! and start your own business in Big Water, Utah, where Lake Powell is only minutes away!